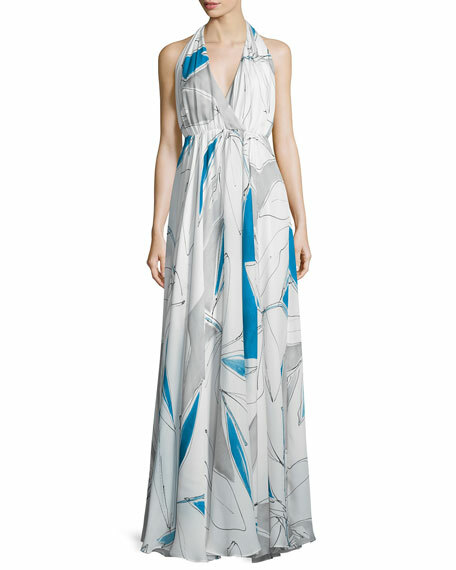 Milly chiffon gown in abstract print. Approx. length: 64"L from shoulder to hem (size 4). Halter surplice neckline; low-cut back. For in-store inquiries, use sku #1755258.